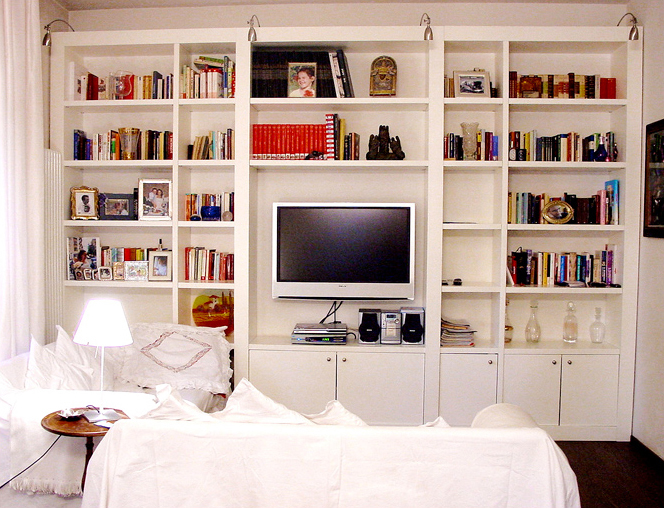 Book shelves are certainly furniture that must immediately transform the perception of the furnished room, becoming a protagonist. It therefore must meet important aesthetic needs yet also offer interesting spaces to place well loved objects or ones used daily. Viem Furnishing designs and creates book shelves in traditional styles and in modern designs, with particular attention to the choice of high quality materials typical of all our production. Smooth opaque lacquered book shelf with capped pilasters over 10 cm. Space for a LED TV. Brushed lacquered ivory book shelf. Grooved 10 cm pilasters with upper capitals inserted into the perimeter cornice. Central fireplace with lacquered structure. 80 cm high coffered, edged wood panelling. Lacquered false-ceiling with neon and adjustable spotlight insertion. 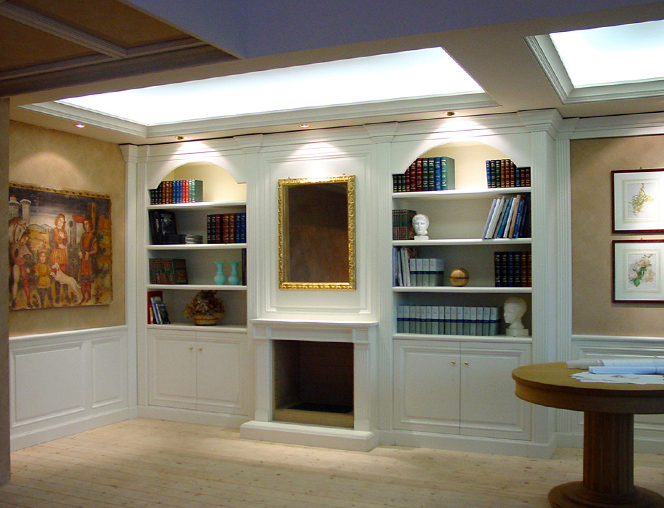 Ivory opaque lacquered book shelves with carved pilasters and single coffered doors. 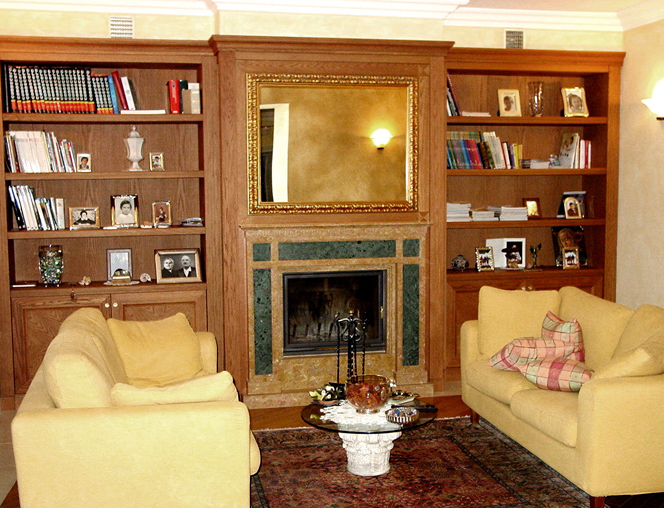 Central part with Botticino inlaid marble fireplace. Upper panel with LED TV. 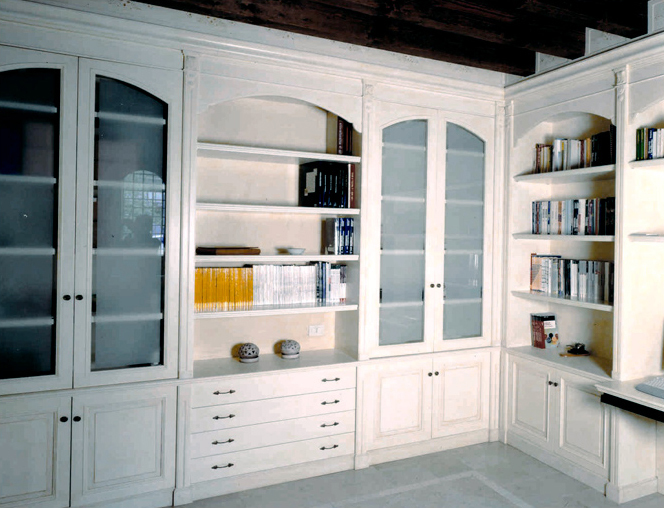 The lower part has blind doors and drawers, the upper part has sandblasted glass doors and shelves. Designed by Studio Gruppo Associato Paterlini. 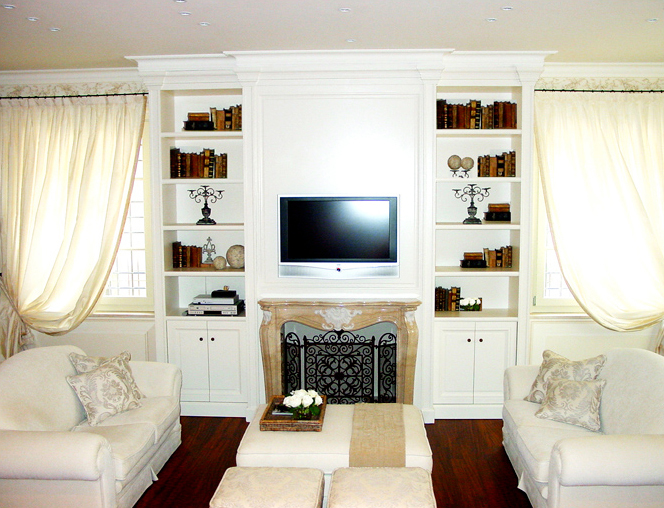 Ivory opaque lacquered book shelf with carved doors and lateral pilasters. 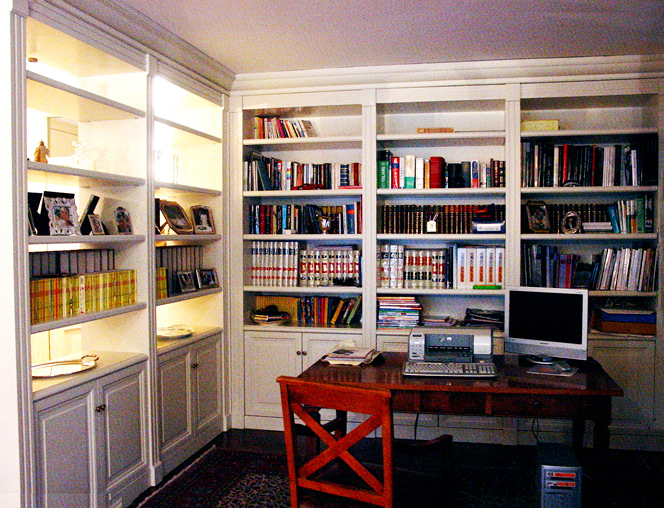 One part of the book shelf is against the wall; the other part is two-sided and divides the office from the living room. Honey varnished brushed oak book shelf. Red Verona and Green Guatemala marble central fireplace. Upper panel in oak with mirror. Brushed, lacquered, open-pore, oak book shelf. Lateral column with carved chest drawers. 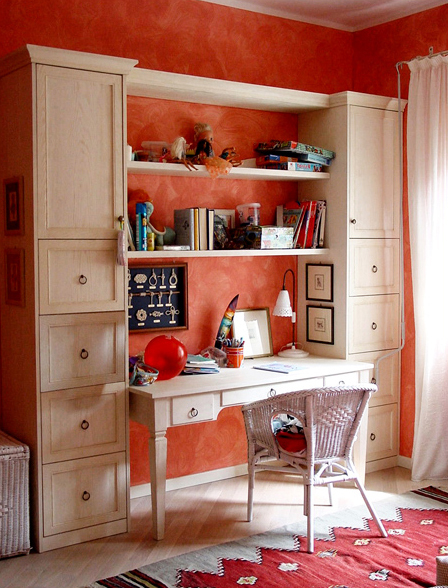 In the middle are a shelf and desk in open-pore, lacquered, brushed oak. 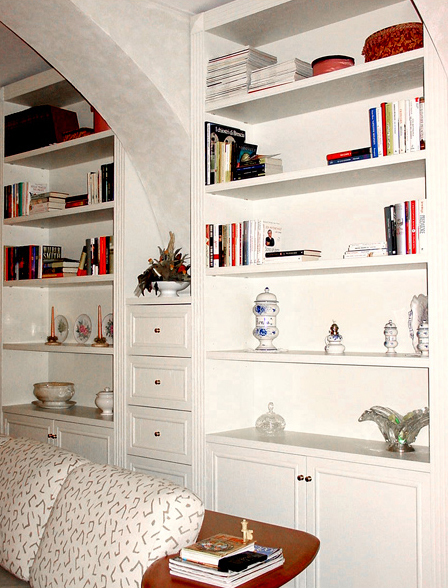 Brushed oak book shelf inserted into niches with vaulted ceiling. Ivory, open-pore lacquered door structure with lateral pilasters and upper cornice. Call +39.030.660385 or ask for information.